Click image to see an infographic detailing the costs to pump oil in 20 different countries. Everyone in the energy industry is suffering as crude oil prices have slumped. But some oil producing countries are hurting more than others. In the United Kingdom, it costs $52.50 to produce a barrel of oil -- which is trading right now around $42. Oil production in Brazil costs nearly $49 per barrel. Production costs around $41 a barrel in Canada. In the United States, production costs are $36 a barrel -- still below the trading price. Those findings are from Rystad Energy's UCube database, which has information from roughly 65,000 oil and gas fields around the world. Of course, it's hard to make money when the cost of producing oil is higher than the sales price. It's no secret that many major energy companies have already announced a range of cut backs in high-cost countries. On the other side of the coin, Saudia Arabia and Kuwait can pump a barrel of oil for less than $10, on average. Iraq can produce oil for about $10.70 per barrel. Rystad's head of analysis, Per Magnus Nysveen, provided CNNMoney with the oil production data and said it clearly illustrates how Gulf states are in a much stronger position due to their low costs. Oil prices plunged in the back half of 2014 after trading above $100 a barrel. The drop came after OPEC -- a group of some of the biggest oil producing nations in the world -- decided to continue pumping the same amount of oil despite clear signs that there was too much supply in the market. Analysts say the OPEC move, which was led by Saudi Arabia, was designed to squeeze high-cost producers out of the market so they could reclaim market share. 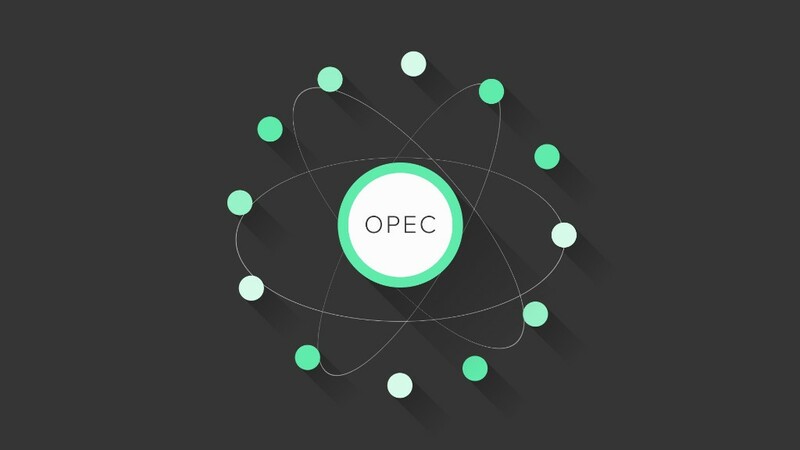 "Vigorous production" from OPEC countries has created a "massive cushion" of 3 billion barrels of oil around the world, the International Energy Agency said in a recent statement. The resulting crash in oil prices is pinching even the strongest OPEC members. The International Monetary Fund warned last month that most countries in the Middle East -- including Saudi Arabia, Oman and Bahrain --- will run out of cash within five years if oil prices don't rise above roughly $50 per barrel. "Oil exporters will need to adjust their spending and revenue policies to ensure fiscal sustainability," the IMF wrote.